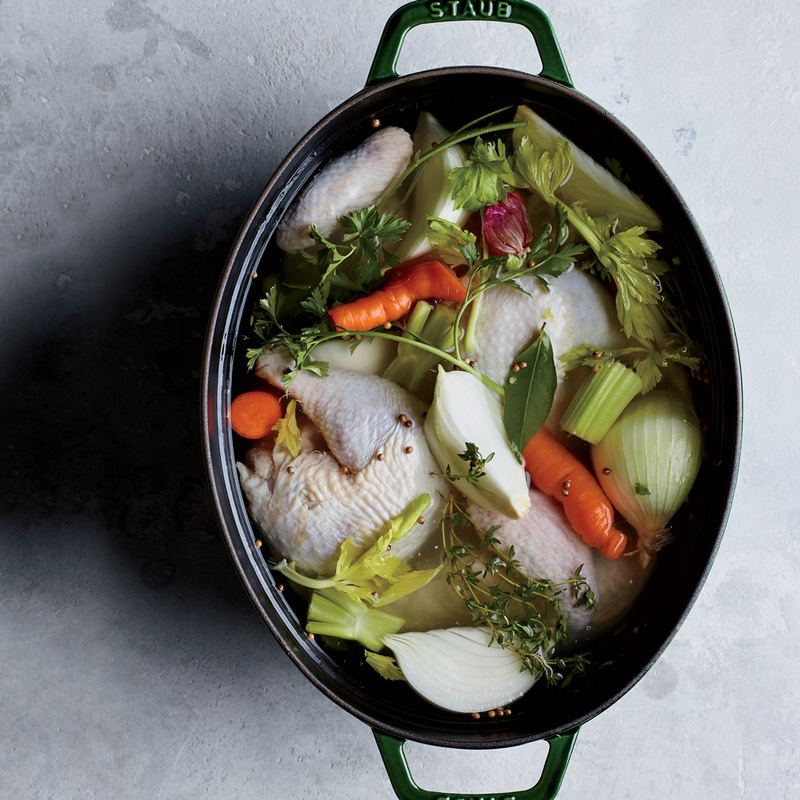 In a large stockpot, combine 4 quarts of water with all of the ingredients except the salt. Simmer over very low heat, partially covered, for 8 hours; skim the surface of the stock as necessary. Strain the stock into a large bowl and season with salt; discard the solids. Let the stock cool, then refrigerate. Skim the fat from the surface before using. The stock can be refrigerated for up to 5 days or frozen for up to 1 month.